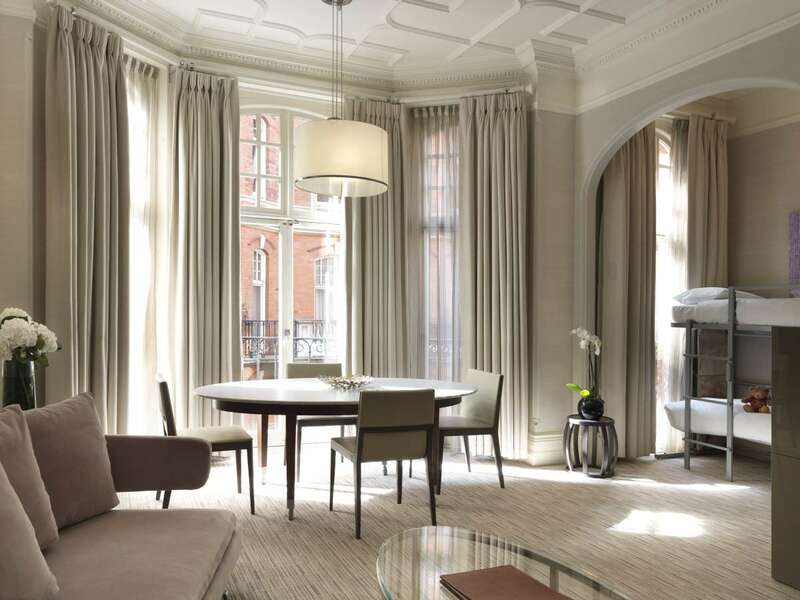 The five-star family-owned hotel situated in the heart of Mayfair is housed in an art-déco building opposite Green Park. Steeped in history, the hotel has hosted many high-profile guests over the years including Warren Beatty, Michelle Pfeiffer and other celebrities who are drawn to the hotel’s charm and glamour. The décor is glitzy and glamorous in gold and pink in the foyer with striking bedrooms whose lush light fittings, funky art and sumptuous velvet couches feel luxurious. 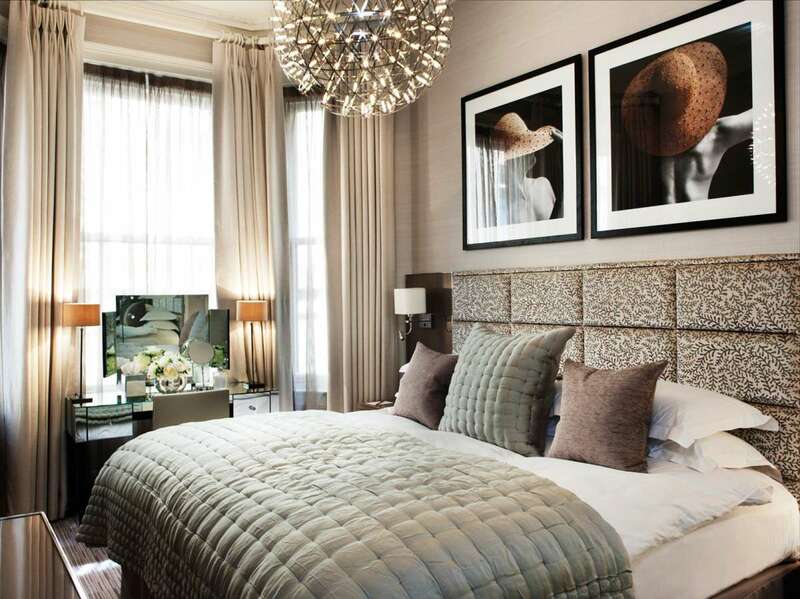 There are 134 bedrooms at the hotel, many of which have floor to ceiling windows with exquisite views across London. For families or large parties of guests, the hotel’s apartments offer everything you could want for a luxury hotel stay. Perfect for tourists, newly-wed couples and families. The Athenaeum’s restaurant has been awarded a second rosette for its exceptional food and outstanding service. There is an all-day dining menu as well as a kids one and as to be expected in such a glamorous hotel – if you don’t like what’s on the menu, the chef will happily make you something to satisfy your needs. Offering over 300 varieties of different blends, the hotel’s whiskey bar is reputed to be one of the best in any hotel in London. Step inside the hotel’s Garden Room and you can enjoy afternoon tea against a backdrop of the hotel’s garden walls. The standard rooms have all the luxuries you would expect from a five-star hotel. My apartment had a separate entrance. The large living room housed a dining table and slick kitchen complete with a mini bar stacked with goodies-complimentary crisps, soft drinks, alcohol and Ben and Jerry’s ice-cream were additional comforts. Visiting with two of my three kids meant they were able to sleep comfortably in the pull down bunk beds as we slumped leisurely in our own bedroom. The hotel has a small gym and a steam/sauna room and a spa. For the kids, there is children’s concierge on hand to keep them entertained. Board games, in-room entertainment including a PlayStation and DVD hire was included in our room. The hotel offers complimentary kids bikes, scooters and kites that you can take to explore the local parks. Green Park station is opposite and an eight-minute walk takes you to St James’s park where you can feed the ducks (after getting free bird food from the hotel reception) passing Buckingham palace on the way. Behind the hotel is Shepherd Market – a charming, village-like area full of small shops, Victorian pubs and restaurants. A two-minute walk from the hotel is the Royal Academy and with Regent Street and Oxford Street close by, you can take the kids to Hamleys if you are staying as a family.